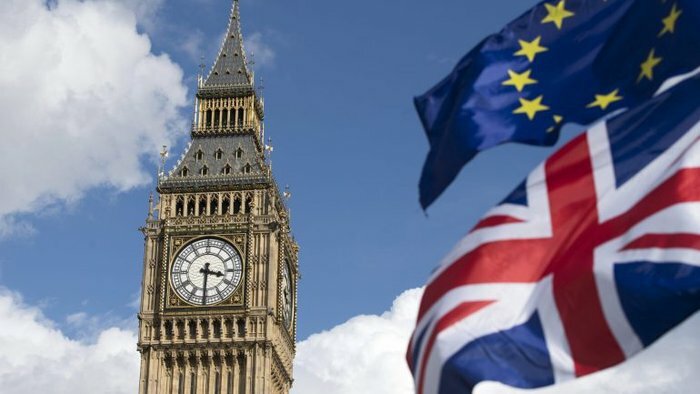 Britons would choose to stay in the European Union if given the option now, according to a new opinion poll that showed the highest support for European Union (EU) membership since the 2016 referendum. In total, 59 per cent of voters would vote to remain in the bloc, while 41 percent would opt to leave, the survey published as part of an academic led report by research bodies NatCen and the UK in a Changing Europe. Just over two years ago when voters went to polls in June 2016, 48 per cent voted to remain and 52 per cent voted to leave. However, the poll’s author caveated the findings by saying the interview panel was skewed towards remain and some of those who changed their minds did not take part in the original Brexit referendum. Analysis of different polls by seen by The Independent earlier this week found more than 2.6 million people had abandoned their support for Brexit and now back staying in the EU. If that number had voted to remain in 2016, Britain would still be a member of the EU. The Independent has launched its own campaign for a Final Say on the Brexit deal and to date, 750,000 people have signed our petition calling for a second referendum. Polling expert Sir John Curtice, the author of the new report, cautioned that those interviewed reported they had voted 53 per cent in favour of remain in the referendum — a five percentage point higher proportion than the actual vote. “Nevertheless, this still means that there has apparently been a six-point swing from Leave to Remain, larger than that registered by any of our previous rounds of interviewing, and a figure that would seemingly point to a 54 per cent (remain) vote in any second referendum held now,” Sir John said in the report. Speaking at an event to launch it, he added the findings were broadly in line with those of other pollsters, whom he said showed an average of 52.5 per cent support for remain. Britain is due to leave the EU on 29 March 2019 but has yet to secure an exit agreement to define future relations with Brussels and manage the economic impact of ending over four decades of integration with the world’s largest trading bloc. The government has ruled out holding a second referendum and Labour has not advocated for one either. The survey interviewed 2,048 people between 7 June and 8 July. That means the survey does not fully reflect any change in opinion brought about by the publication of Theresa May’s negotiating strategy, published in early July. The Chequers exit plan has divided Conservative party, drawing criticism from both Brexit supporters and those who want to retain close ties to the EU. Nevertheless, the poll shows voters thought the negotiations were going badly even before the publication of May’s so-called Chequers plan. Sir John added that subsequent polling data, not included in the report, had shown the plan had little support from the public and was unlikely to have reversed voters’ pessimism.